This sounds like the Tahoe-Yosemite PCT segment. Hwy 4 is just the mid-point. That’s correct, Derek, although it doesn’t quite get to Tahoe. Thanks. REALLY looking forward to all you have to tell on this one Ray! Sounds perfect for me! Sounds like a good training hike for the REAL DEAL JMT! Thanks, Eric. Looking forward to getting the next installment out next week. 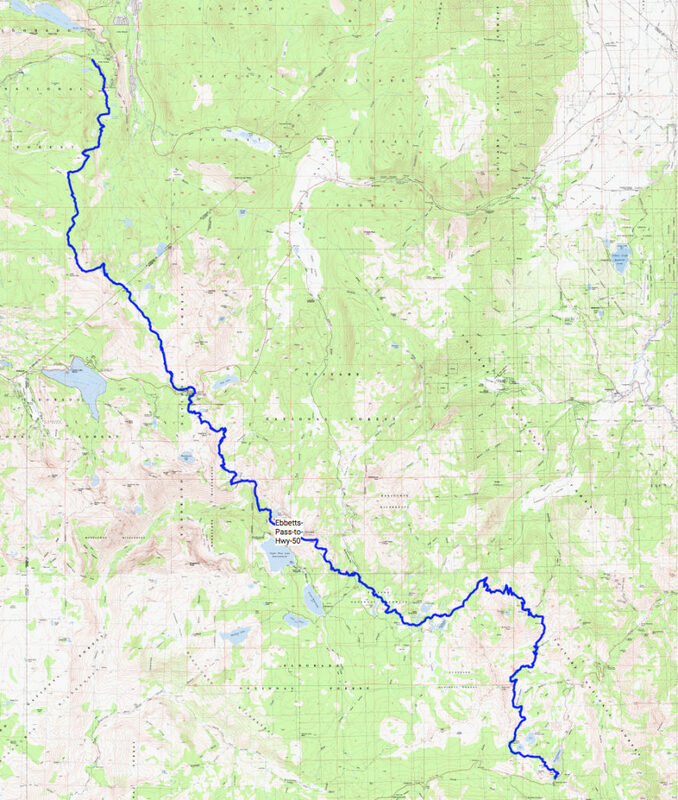 And you are right: this would be a great JMT training hike. I’m very excited to see these reports! My parents live up in Arnold and have been encouraging me to hike this section for a while but I’ve been focused south. With your beta I think next year I’ll go for it. Definitely transportation would be a non-issue for me. Thanks for the comment, Erin. More to come soon!